There’s a world of difference between a professional ice cream machine and something designed for home use. Whether you’re starting an ice cream shop, you want fresh ice cream for your coffee joint or restaurant, or you just want something a little beefier for hobby use, you’ll want to choose the right tool for the job. Having a high-quality commercial grade unit with a beefy compressor will let you churn out batches of ice cream in minutes, day after day. 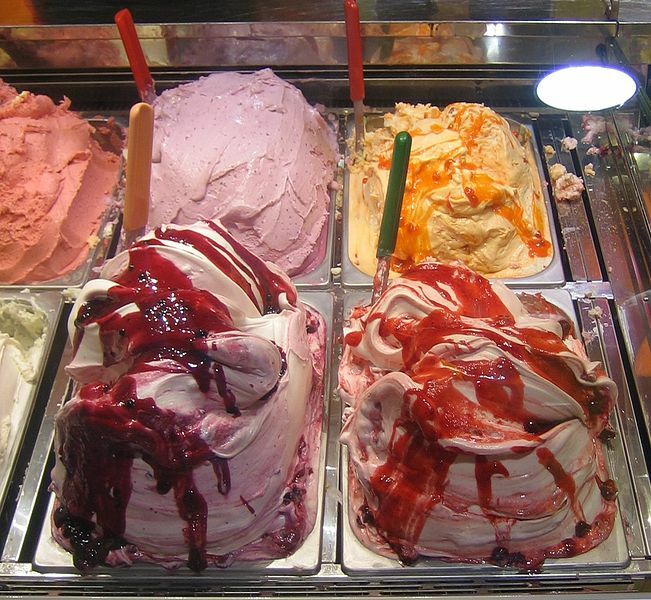 Professional ice cream makers are expensive, however, and there are a lot to choose from. In order to help you decide which machine is right for you, we’ve reviewed several top ice cream making machines here. We’ll go over the features that make each of these units competitive and why each one might be the right fit for you. This Cuisinart ICE-100 ice cream maker is a respectable budget option for both home and commercial use. While you’d be hard pressed to run a full-time ice cream shop off of this machine, it makes an excellent restaurant ice cream maker for smaller venues that serve lots of other food as well. It’s an ideal machine for serious hobbyists and community groups as well, with a price tag that’s exceptionally reasonable for its power and efficiency. The ICE-100 has its own compressor. This is a bit of technical talk that essentially means that it cools its own contents. It’s loud, it takes quite a bit of electrical power, and there’s some amount of added hassle associated with managing this unit’s refrigerant. This last bit mostly means that you’ll have to let it settle down for a full day after unpacking it. Once that’s done, however, you’ll start to appreciate the true power that this Cuisinart brings. It’s one of the least expensive units on the market that can chill itself. In terms of ice cream making, this means that you never have to freeze a bucket or fill a tub with fresh, cold ice. Instead, you simply pour your ingredients into this machine and let it do the work for you. The Cuisinart really shines when you want to make multiple batches of ice cream or gelato back-to-back. You simply scoop out the finished stuff, clean out the bucket, and load in a new batch of chilled custard. The Cuisinart ICE-100 is loud, but it isn’t overpoweringly noisy. Instead, it generates the same sort of noise that a refrigerator might make. It’s easily drowned out by a radio or TV at a sane volume level. It’s nowhere near as noisy as a blender or a vacuum cleaner. This means that you shouldn’t disturb the other occupants of your house too much when you use it. Cleaning the ICE-100 is pretty easy. Most of the important parts disassemble, so you can clean the dasher and the bucket in the sink. The biggest issue that many users have is the fact that the ICE-100 gets so cold that it can freeze ice cream solid at the end of a full cycle. Some people choose to end cycles a few minutes early to get around this issue, while others simply wait for a few minutes for the ice cream to thaw a little bit. It’s definitely an easy problem to solve. 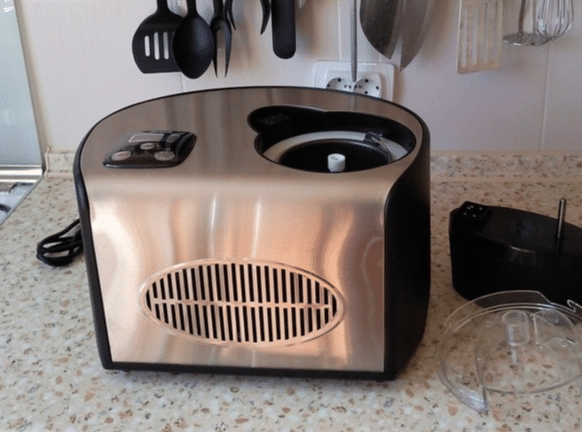 You can make ice cream, gelato, and more inside this fantastically fast machine. Short cycles result in smooth soft serve, while letting the machine run full cycles gives you fluffy, solid ice cream. With a 1.5 quart bowl and a 60 minute cycle time, you can make a gallon of ice cream in a day with no problems. Overall, the Cuisinart ICE-100 is the perfect option for smaller businesses and home ice cream enthusiasts. It’s not as large, fast, or robust as “real” commercial gelato makers or ice cream machines, however. If you think you’ll be making many gallons of ice cream per day, you’ll definitely want to buy one of the larger machines below. This Lello Musso Pola 5030 Dessert Maker is a slick upgrade to the ICE-100 above. While it’s pretty pricey, it boasts nearly double the capacity and can make ice cream up to four times as fast. This means that it can make six to eight times as much ice cream in an hour as the ICE-100. In terms of ice cream per hour per dollar, it’s a clear upgrade. As far as raw functionality goes, the Lello Musso Pola 5030 seems pretty similar to the Cuisinart at first glance. You pour in chilled custard, turn the machine on, and sit back while it both chills and churns for you. There’s a pretty big difference in speed, however, and that can make a huge difference. Ice cream experts will tell you that speed matters. The speed at which your ice cream freezes dictates the size of the ice crystals. Fast frozen ice cream, churned properly, will have very small ice crystals, making it smooth and extra delicious. This means that the faster your ice cream maker can go, the better the ice cream will be. The Lello Musso Pola is something like four times as fast as the Cuisinart. Making a quart of ice cream takes about fifteen minutes, depending on the recipe and exactly how hard you want your ice cream to wind up. Two quarts takes a bit longer, up to 20 minutes. In both cases, however, you get the benefit of both faster ice cream and smaller ice crystals, meaning that your ice cream will get better reviews. In my opinion, the best part of the Lello Musso Pola is the price. It’s not cheap, sure, but it’s not competing with home ice cream machines. This machine can churn with the big boys. It boasts similar specifications to machines that are two, three, or four times the price. I challenge you to find an ice cream machine that can churn 2 quarts in less than 30 minutes at less than the price of this machine. Despite the low cost, you’re not losing out on any quality. This machine is more than robust enough to make a steady stream of ice cream for your home, coffee shop, restaurant, or club. It offers just the right mix of power, cost, and size for many small businesses and home ice cream enthusiasts. If you’re after high-quality ice cream or you think you’ll make more than a gallon a day, the Lello Musso Pola 5030 is the commercial ice cream maker for you. It’s not as cheap as the smaller Cuisinart or a bucket-in-the-freezer style ice cream maker, sure, but you get smoother, creamier ice cream that freezes much faster. It’s a commercial grade machine on a home accessible budget. This Breville BCI600XL Smart Scoop isn’t quite as fast or roomy as the Lello Musso Pola. In fact, it’s quite comparable to the Cuisinart above in terms of speed, capacity, and price. 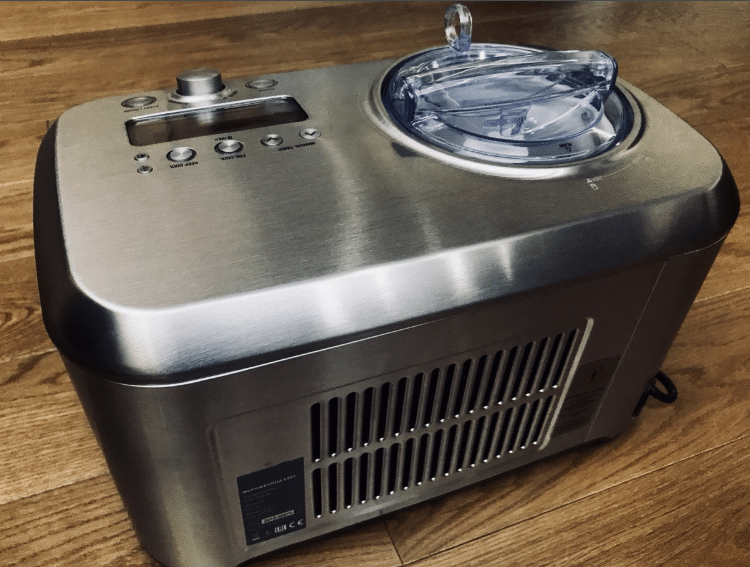 It freezes up to 1.5 L of chilled custard in about an hour, with a handful of extra settings that allow you to make gelato or adjust the consistency of your ice cream with ease. The BCI600XL isn’t too different from the Cuisinart above in terms of convenience, capacity, or speed. It’s very similar in operation, with a built-in compressor that seems to cool down ice cream at about the same rate. While it can’t give you the extra smooth fast-frozen ice cream that the Lello Musso can make, it’ll still produce extremely good ice cream (and sorbet and gelato) in a pretty reasonable amount of time. While the BCI600XL has a handful of extra knobs and settings, it’s not a better machine overall. In fact, some users mention occasional issues with small amounts of ice cream spilling during normal use. This doesn’t ruin things by any means, but it can be a pain to clean out spilled dairy from certain parts of the machine. Overall, I’d strongly recommend the BCI600XL if it’s on sale for less than the Cuisinart and you want a lower capacity ice cream maker. It’s a solid purchase overall and can easily satisfy the needs of a small business, but the Cuisinart tends to be slightly cheaper. Given how similar the functionality is, I think I prefer the other model. 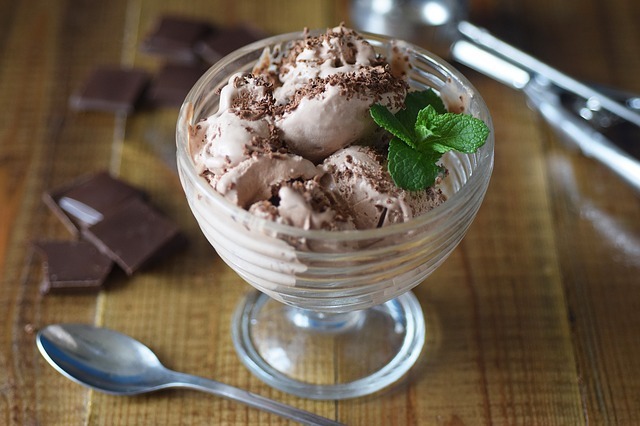 Want to get the most out of your new commercial ice cream maker? Here are some things to keep in mind when you take your custard for a chilly spin. The stuff you put in the ice cream machine should be chilled, thoroughly. Even with a snazzy commercial machine that can make ice cream in ten or twenty minutes, you’ll want to start things out with chilly custard. The faster your ice cream freezes, the smoother it is, so starting off with a chilled mixture can help a lot. Even though your ice cream maker has a “keep chill” setting, you still want to transfer your freshly churned ice cream to the freezer, fast. Again, the speed at which things freeze matters a lot. Your freezer will lower the temperature and freeze your ice cream solid while preserving the smooth, creamy consistency. Unless you plan on adding commercial stabilizers to your ice cream, it won’t keep for very long in the freezer. The best thing to do is honestly to eat it all in one sitting. If you’re making ice cream for customers, don’t make more than you expect to serve in a day or two. Ice cream will easily keep in the freezer for one or two days, but anything past that starts to be a bit of a stretch. One of the biggest benefits to owning your own ice cream maker is the fact that you can control what goes into your ice cream. This means that you get to use healthy, natural ingredients. Unfortunately, ice cream recipes can be pretty finicky. Substituting ingredients (or omitting them altogether!) can have a big impact on the finished product. If your custom recipe isn’t working out, you might need to experiment with less drastic changes to your original recipe. The factor that you’ll want to pay the most attention to is fat. The more fat is in your custard, the more stable your ice cream will be. Using low-fat milk (or skim milk) might seem like a good idea, but you’ll probably end up with something that barely resembles ice cream unless you’re really, really careful. The pros pay a LOT of attention to their fat-to-liquid ratio, to the point where they even measure any mix-ins to see how they throw off the balance. If you’re getting something that’s more like an icy slushy than ice cream, you probably are drowning your fats with other liquids. The Lello Musso Pola 5030 is probably the best low-cost commercial ice cream machine on the market right now. It can make a terrific amount of ice cream in a small amount of time. 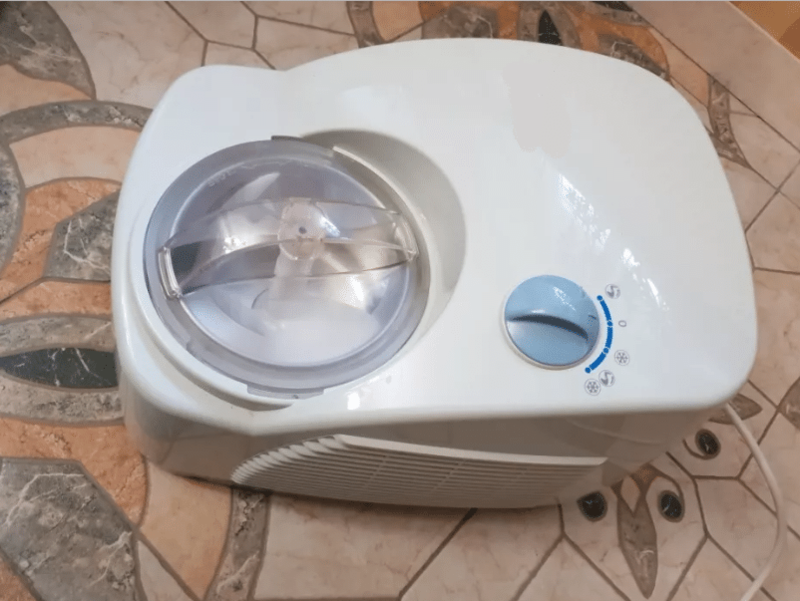 Its powerful compressor ensures that your ice cream freezes quickly, giving you tiny ice crystals for a smooth final product. The LMP 5030 is fairly pricey, however. 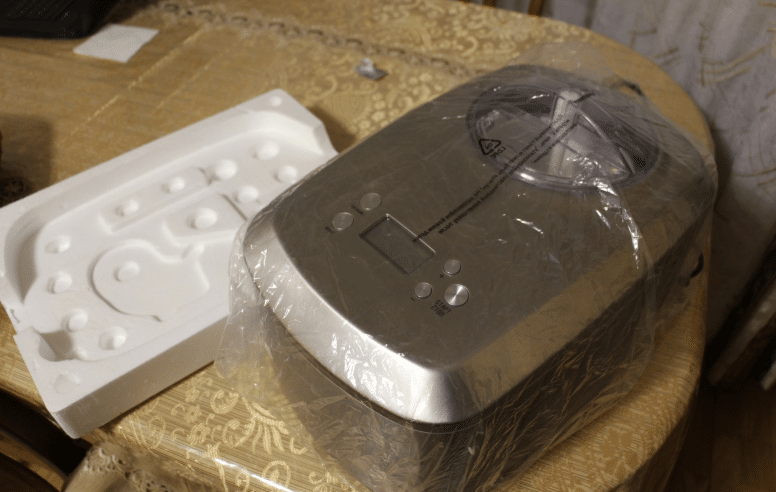 If you’re not ready to spend that kind of money, the Breville BCI600XL and the Cuisinart ICE-100 both offer somewhat comparable performance for quite a lot less money. While they’re smaller and much slower, they’re much, much more affordable. You might not get the same incredibly smooth ice cream that you can get from the LMP 5030, but you’ll still get incredibly decadent fresh ice cream in fairly big batches at a reasonable pace. Whether you run a club, a coffee shop, a restaurant, or you simply manage a house full of ice cream lovers, one of these machines can help you produce rich, fresh ice cream at the touch of a button. Simply load in your chilled custard, start the machine, and sit back! You’ll have freshly churned ice cream in no time at all.